Design as a philosophy of creating solutions has a chance to be benevolent when combined with human-centric values. However, in our profit-centred world, design is used in the marketing realm to influence consumer decisions, sometimes in ways that are potentially harmful (Beverland, Gemser & Karpen 2017, p. 161). The role of design in promoting harmful products like tobacco in Indonesia, and skin whitening products in India, involves graphics that tap in to the collective subconscious of a culture, manipulating the perceived value between the products to bring about social success (Reynolds 1999, p. 85) (Shroff, Diedrichs & Craddock 2018, p. 1). With tobacco advertising in Indonesia, the consumers buy in to an idealised lifestyle of masculine dominance. Advertisements will typically display images of stereotyped masculinity combined with a daring slogan that evokes a sense of autonomous power- “Be Bold”, “Go Ahead”, or in the example of Surya Pro- “Never Quit” (Reynolds 1999, p. 85-86). Not only is this advertisement selling a highly harmful and addictive product, the ethical ramifications also lie in how it frames attempts at quitting as giving up- a very ‘unmanly’ trait. Designing a readily consumed social narrative is comparable to the $US 450-535 million skin whitening industry in India, selling products which often contain damaging ingredients. A link between fair skin and success is perpetrated by advertisements digging into insecurities of darker women, wrought by caste dogmas and exacerbated by two centuries of colonialism (Shroff, Diedrichs & Craddock 2018, p. 2). The design of the advertisement portrays a confident woman staring out at her audience, bathed in sterile white and feminine pink to declare- this is what a successful and professional woman in India looks like. Referring to the product as a ‘treatment’ implies that dark skin is an abnormal condition that needs to be treated. These multi-million dollar industries rely on reinforcing gender stereotypes through design to sell unethical products, but what about design as a tool for social activism? In a 2014 feminist campaign by Elle UK Magazine and the Fawcett Society, celebrities such as Benedict Cumberbatch championed ‘This is what a feminist looks like’ t-shirts- a seemingly empowering use of design (Katebi n.d.). However, it was revealed that the Mauritius women manufacturing the t-shirts in sweatshops were exploited for a profit (Katebi n.d.). How could these shirts stand as a symbol of female empowerment, when the capitalist constructs they arose from were inherently disempowering? This incident kindled the popularity of left-wing discourse across Tumblr and Twitter, with the phrase “There is no ethical consumption under capitalism” (Weedwacker 2015). Since design and consumption go hand in hand, perhaps there can be no ethical design under capitalism either. Beverland, M. B., Gemser, G & Karpen, O. I. 2017, ‘Design, consumption and marketing: outcomes, process, philosophy and future directions’, Journal of Marketing Management, vol. 33, no. 3, pp. 159-172. Katebi, H. n.d, ‘This is what a feminist looks like. The feminist shirt controversy‘, Conscious Magazine, viewed 31 January 2019, <https://consciousmagazine.co/the-feminist-shirt-controversy/>. Reynolds, C. 1999, ‘Tobacco advertising in Indonesia: “the defining characteristics for success” ‘, Tobacco Control, vol. 8, no. 1, pp. 85-88. Shroff, H., Diedrichs, P. C. & Craddock, N. 2018, ‘Skin colour, cultural capital, and beauty products: An investigation of the use of skin fairness products in Mumbai, India’, Frontiers in Public Health, vol. 5, no. 365, pp. 1-9. Weedwacker 2015, ‘Where does “there is no such thing as ethical consumption under capitalism” come from?’, Reddit thread, 11 August, viewed 29 January 2019, <https://www.reddit.com/r/OutOfTheLoop/comments/3gh73r/where_does_there_is_no_such_thing_as_ethical/>. Chaudhari, D. 2017, Fair and Lovely Advertisement, Feminism in India, viewed 30 January 2019, <https://feminisminindia.com/2017/01/02/advertising-hates-women-comfortable-skin/>. 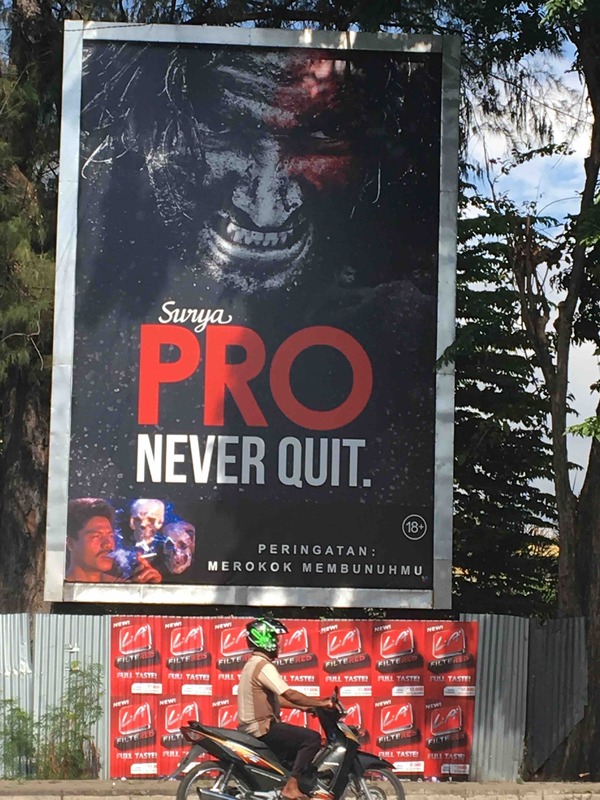 Grenville, S. 2018, Surya Pro Advertisement, Lowy Institute, viewed 30 January 2019, <http://www.lowyinstitute.com/the-interpreter/quitting-cigarettes-indonesia>. 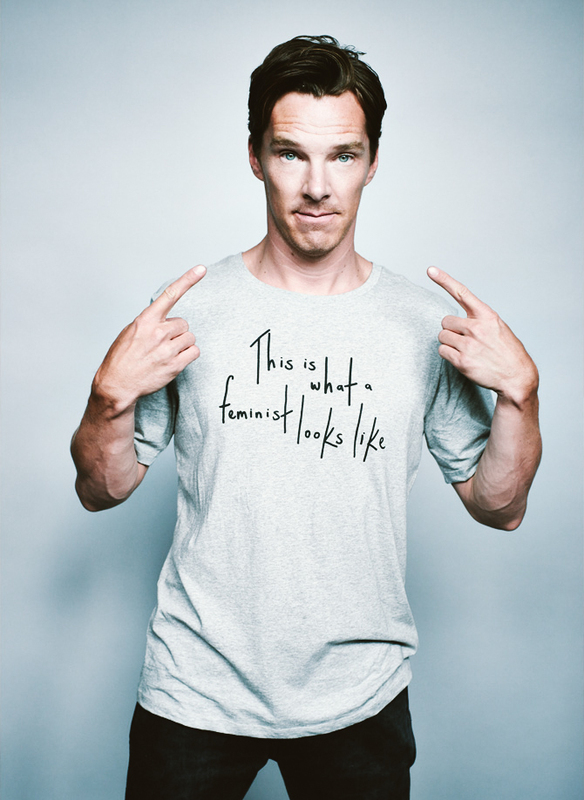 ELLEUK Twitter 2014, Benedict Cumberbatch This Is What A Feminist Looks Like, Conscious Magazine, viewed 31 January 2019, <https://consciousmagazine.co/the-feminist-shirt-controversy/>. Yulian Huningkor, interning doctor at the CH. M. TIAHAHU Puskesmas, gave this example when discussing the limitations of the Ambonese healthcare system. Being a small island almost 4,000km from the capital, the movement of medical supplies can only occur in bulk via air or sea. It is slow, expensive, and will not occur unless there is a large demand for it. Yulian states that the hospitals and medical clinics do not want to risk finances purchasing large quantities of specialised medicines (or anti venom), which are likely to expire before they are even used. Yulian’s college education in Jakarta was based around Western medical practices… but did not prepare him for the shocking reality of the Ambonese community health clinics. I had the chance to visit the Kayu Putih Puskesmas, located in the mountain village of Soya. The building and equipment were in dire need of refurbishment; it was poorly lit and didn’t exude the pristine and reliable atmosphere I’m used to in Australian health services. The image of the clinic was at the forefront of my mind at the Mayor’s dinner party, in the aggressive display of wealth in the lavish government house. At this comparison, Yulian admitted that distance isn’t the only challenge affecting healthcare quality. Indonesia sits in the top 100 most corrupt countries in the world, according to Transparency International’s Corruption Perception Index (Ibbetson 2019), squandering funding that could be used towards improving public health (Juwita 2017). I wondered if anybody had ever fought the poison in the health system, but Yulian explained “only a few people that understand the problem want to fight… but their aspirations are often neglected by the governments.” The lack of information and education also play a part in how many people are aware of the issues, let alone aware of how to combat it. But Yulian is quite optimistic for Indonesia’s future. In a country snaked by its own government, in short supply of anti venom, it’s the small actions of individuals like Yulian that make the long wait bearable. Ibbetson, R. 2019, ‘The world’s worst corrupt countries revealed’, Daily Mail Australia, 29 January, viewed 30 January 2019, <https://www.dailymail.co.uk/news/article-6643529/Somalia-named-worlds-corrupt-country-Denmark-one-watch.html?ito=social-facebook&gt;. Juwita, R. 2017, ‘Health sector corruption as the archenemy of universal health care in Indonesia’, Mimbar Hukum, vol. 29, no. 1, pp. 162-175. This phrase encapsulates everyone’s right to preserve their health, without the hindrance of toxic cigarette fumes. Unfortunately, in a country like Indonesia with 61.4 million tobacco users, avoiding the detrimental effects of second hand smoke seems almost impossible (WHO 2018). At first, these statistics inspired us to infiltrate Ambonese home life with a campaign to reduce second-hand smoking, to reduce child exposure, and focus on empowering women to take control of their spaces. However, due to the complex nuances that exist between different families, we decided that this wasn’t a feasible strategy. Instead, we examined other spaces that women inhabit. The most stimulating was the Indonesian Christian University of Maluku. Spaces for non-smokers where their right to fresh, clean air was respected and where their requests for smokers to move or stop could not be ignored. Forming a community of non-smokers, and connecting them to smoke-free spaces. The initial direction was to reclaim physical university spaces for non-smokers, but realised we needed to think much bigger, and focus on the whole of Ambon, the city, the community, and the culture, as a space. What we conceptualised was a website-based platform, featuring a map and a database that not only identifies smoke-free venues in Ambon- it also supplies a rating system with twelve categories to provide a comprehensive review of the smoking culture in and around the venue. The applicable criteria are clearly displayed alongside an interactive map which showcases the location and rating of each listed venue. The criteria were created with the knowledge that although there may be no active tobacco consumption within an enclosed space, other influences such as advertising, people smoking outside or in close vicinity to the venue and sale of tobacco products may still be present, risking health through second-hand smoke or exposing children to tobacco culture. Thus if a venue is able to fulfil 50% of the criteria, it is deemed ‘free to breathe’ with our stickers of approval, designed to complement the visuals of the globally recognised ‘no smoking’ sign to reduce ambiguity and contextualise the ‘breathe freely’ concept. These stickers will be displayed outside the venues once examined by a Bebas Bernapas representative to certify the space as ‘free to breathe’. Members of the movement passing by will be able to instantly identify a non-smoker friendly space. Through this process, we hope to build confidence to reclaim clean, smoke-free spaces, through solidarity within the non-smoking community of Ambon. Using #BebasBernapas to share potential venues, and locate other users’ listings, and to follow the @BebasBernapas account for small bios about each venue. To streamline the website for on-the-go searches for venues. Reclaiming transport spaces for non-smoking passengers through banning the use and storage of tobacco products, and using the local transport as a vehicle to communicate anti-smoking messages. And the possibility to ensure that everybody in Ambon and elsewhere can exercise their right to breathe freely. In 2013, it was estimated that 41% of boys and 3.5% of girls between the ages of 13-15 are smokers in Indonesia (Webster 2013, p. 97). These figures are trending upwards (Astuti & Freedman 2017, p. 1). Yet the sale of cigarettes to minors under the age of 18 is illegal, and I discovered in my interview with a local restaurant owner that parents don’t actively encourage their children to take up the habit (Astuti & Freedman 2017, p. 2). So what is it that instigates youth smoking in Indonesia? During my time in Ambon, I have come across a primary school, high school and university campus, from various sides of the city. I noticed that each institution’s location had something in common: A very high saturation of tobacco endorsements and points of sale. Map illustrating the relationship between student foot traffic and tobacco exposure points across three major institutions along the main road. As illustrated in the map, exposure to advertisements is unavoidable as they infringe on student’s paths to and from institutions. Young children see them on their way to and from primary school; adolescents see them around high schools. The university that I visited even had a huge GG Move Duo Filter billboard directly outside its fence, influencing young adults. There is a direct correlation between exposure to endorsement and smoking initiation (Prabandari & Dewi 2016, p.7). In 2007, roughly 80% of youths reported exposure to billboards and print advertisement promoting tobacco products (Prabandari & Dewi 2016, p.2). The irony here is that the tobacco industry claims that they do not target youth. However in a 2016 study of Indonesian high school students’ perceptions of cigarette ads, it was found that 55.79% of participants believed that the target audience of tobacco advertisements was the youth population (Prabandari & Dewi 2016, p.5). Beyond media advertisements, other promotional strategies include merchandise and samples. In a survey spanning a range of Indonesian students, 9% reported owning an object featuring tobacco branding, and 7.9% were shockingly offered free samples. This is despite bans on merchandise production and handing out free products to students. From these points of research, it is clear that relentless advertising is a significant contributing factor to the increasing issue of youth smoking (WHO 2014, p. 32). Of course, advertisement isn’t the only curse influencing youth smoking. There’s a significant lack of awareness of the harmful effects; the formal school curriculum, as of 2014, has a very limited coverage of the adverse effects of tobacco products (WHO 2014, p. 35). Since 70% of households contain smokers, children and adolescents are influenced by smoking culture from their families and friends as well (Padmawatil et al 2018, p. 1). My journey along the main road of Jl. Jenderal Sudirman seems to be the journey of the majority of Ambonese adolescents. Just like how the blatant tobacco advertisements and points of sale dominate the streets winding past educational institutes- from primary school to adulthood, children in this society are raised by the underlying stench of tobacco culture. Astuti, P. A. S. & Freeman, B. 2017, ‘“It is merely a paper tiger.” Battle for increased tobacco advertising regulation in Indonesia: content analysis of news articles’, BMJ Open, vol. 7, no. 9, pp 1-9. Padmawatil, R. S., Prabandari, Y. S., Istiyani, T., Nichter, M., Nichter, M. 2018, ‘Establishing a community-based smoke-free homes movement in Indonesia’, Tobacco Prevention and Cessation, vol 4, no. 36, pp. 1-10. Prabandari, S. Y & Dewi, A. 2016, ‘How do Indonesian youth perceive cigarette advertising? A cross-sectional study among Indonesian high school students’, Global Health Action, vol. 9, no. 1, pp. 1-14. Webster, P. C. 2013, ‘Indonesia: The tobacco industry’s “Disneyland”’, CMAJ, vol. 185, no. 2, pp. 97-98. World Health Organisation, 2014, Global Youth Tobacco Survey: Indonesia Report, SEARO, Delhi, India, viewed 17 January 2019, <http://www.searo.who.int/tobacco/documents/ino_gyts_report_2014.pdf&gt;. The Centers of Disease Control and Prevention (CDC) Tips From Former Smokers Campaign was downright scary. For the twelve weeks in 2012 that the multi-media initiative ran in the US, it was difficult to escape the horrifying reality of smoking. From social media badges to television advertisements, the campaign’s wide reach was possible due to the $54 million of federal government funding (CDC 2018) (Rigotti & Wakefield 2012, p. 907). The campaign’s goals aligned with the WHO Framework Convention on Tobacco Control’s suggested measures for reducing tobacco demand via public awareness and encouraging cessation (WHO 2003, pp. 10-13). The CDC’s goal to ‘Encourage smokers to quit, and make free help available’, by informing people of the adverse health effects proved successful for the three-month duration (CDC 2018, para 7). 207, 519 more calls were made to the provided quit line, compared with the same period of 2011 (Rigotti & Wakefield 2012, p. 907). The success of the public awareness goal was also seen on Twitter, as 87% of Tips-related tweets displayed message acceptance, and sparked further conversations online (Emeryl et al 2015, p. 286) (Emeryl et al 2015, p. 290). Across all media formats used, the campaign featured faces and bodies with smoking-induced disfigurations performing their everyday tasks. Text conveyed haunting ‘advice’ from the former smokers, and the quit line number included a free and immediate resource to act on those fears. Fear has proven to be the most effective method for tobacco consumers to take steps towards smoking cessation across a wide demographic (Andrews et al 2014) (Emeryl et al 2014, p. 278). The CDC’s scare tactics were particularly successful due to the underlying theme of ‘Real People, Real Stories’. The damages presented were clearly severe and abnormal, yet they were normalised through everyday routines, rather than dramatized. Communicating the risks via inescapably real stories emphasised the health implications as something that could happen to anyone. It thus reduced common reactions of distance and denial towards cigarette warnings (Rigotti & Wakefield 2012, p. 907). Overall, the campaign was highly successful in the period that it ran for. But what about after? After the designated advertising period ended, the number of quit line calls dropped (Rigotti & Wakefield 2012, p. 908). A substantial hindering factor to this campaign, and ones like it, was the high saturation of commercial tobacco marketing and long-term addiction that outlasts the prevalence of warning messages (Durkin, Brennan & Wakefield 2012, p. 133). Whilst the campaign seized short-term successes, a truly successful initiative works simultaneously along supply and demand chains in a long-term effort to sustain the terror of tobacco (WHO 2003). Andrews, J. C., Netemeyer, R. G., Kees, J. & Burton, S. 2014, ‘How graphic visual health warnings affect young smokers’ thoughts of quitting’, Journal of Marketing Research, vol. 51, no. 2, pp. 165-183. Centers of Disease Control and Prevention 2018, Tips From Former Smokers – About the Campaign, Atlanta, viewed 9 January 2019, <https://www.cdc.gov/tobacco/campaign/tips/about/index.html&gt;. Durkin, S., Brennan, E. & Wakefield, M. 2012, ‘Mass media campaigns to promote smoking cessation among adults: an integrative review’, Tobacco Control, vol. 21, no. 2, pp. 127-138. Emeryl, S. L., Szczypkal, G., Abril, E. P., Kim, Y. & Vera, L. 2014, ‘Are you scared yet? Evaluating fear appeal messages in tweets about the Tips campaign’, Journal of Communication, vol. 64, no. 2, pp. 278-295. Rigotti, N. A. & Wakefield, M. 2012, ‘Real people, real stories: A new mass media campaign that could help smokers quit’, Annals of Internal Medicine, vol. 157, no. 12, pp. 907-909. World Health Organisation 2003, Who Framework Convention on Tobacco Control, World Health Organisation, Geneva, viewed 10 January 2019, <https://www.who.int/fctc/text_download/en/&gt;. Centers of Disease Control and Prevention 2012, Brandon’s Tip, CDC, viewed 9 January 2019, <https://www.cdc.gov/tobacco/campaign/tips/resources/social/index.html&gt;.